"Live From The WB, the premier podcast based in Williamsburg, Brooklyn, has launched a live band performance and interview format. Once a month, traditional episodes will be replaced with 30-minute shows dedicated to a single band. Each show will feature new material, band interviews and the wacky antics, for which Live From the WB has become known. 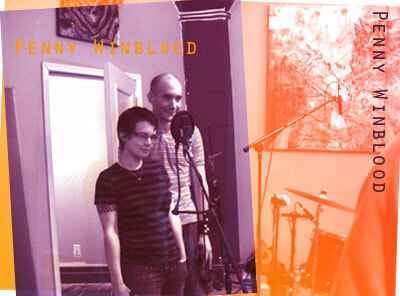 The premiere band episode features Penny Winblood, a hard rock drum and guitar duo based in Brooklyn. Future episodes include Repellent and Boctok. The band episodes are recorded and mixed at Translator Audio Studio in Dumbo, Brooklyn." This page contains a single entry from the blog posted on April 4, 2007 4:38 AM. The previous post in this blog was Roebling Street Sludge. The next post in this blog is Kosciuszko Faces Waterloo.